looked just like a large one of these. 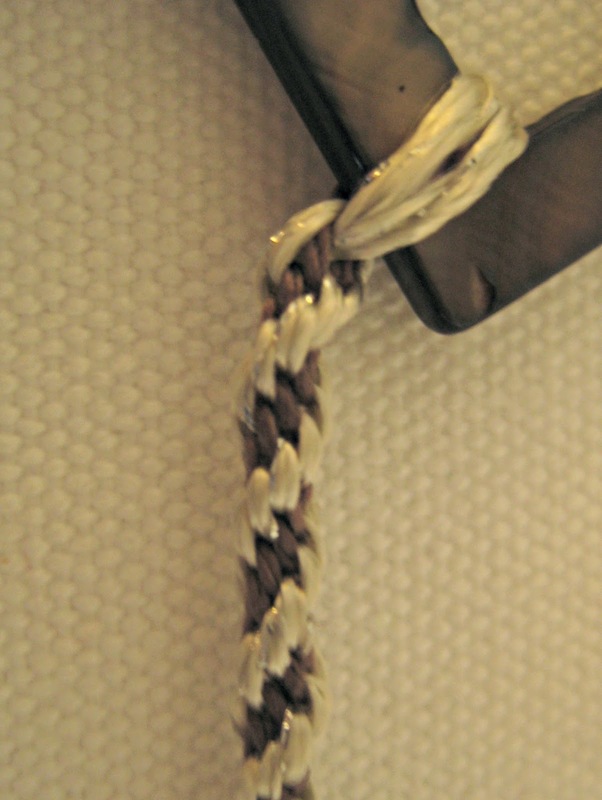 Then I went home to set up a kumihimo braid, picked a couple of yarns that I thought would co-ordinate with the pearly square, and away I went. When it was long enough to examine properly, I realised that I was reproducing the fabric roll – or was it the ice cream wafer? 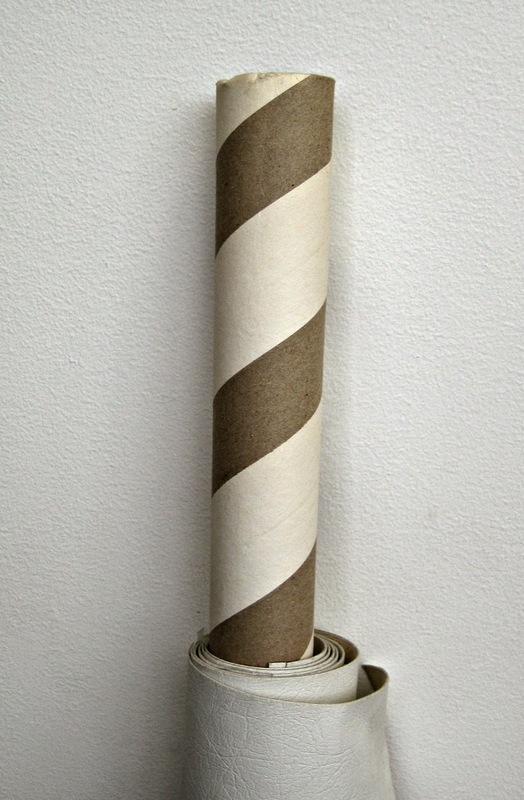 Probably the cardboard roll as they are both ‘Z’ twist, the wafer is ‘S’. 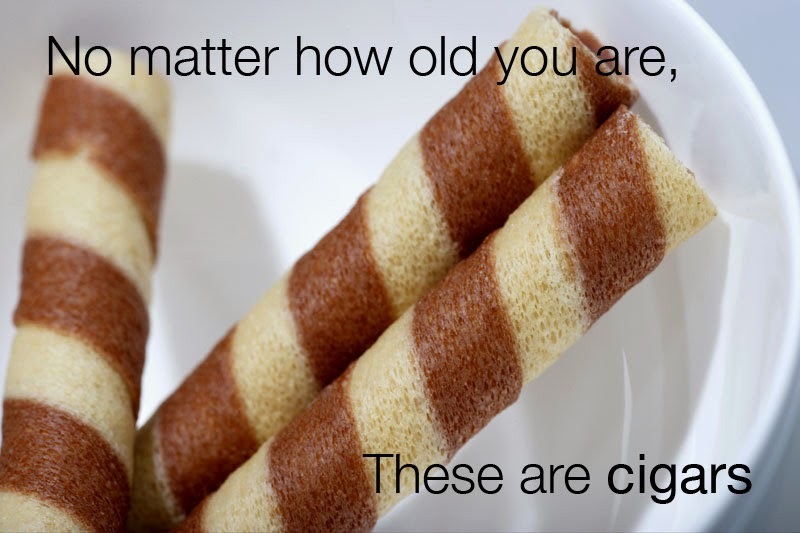 It wasn’t a conscious decision but was clearly influenced by thinking about the cardboard roll, and the wafers. Funny how the mind works. 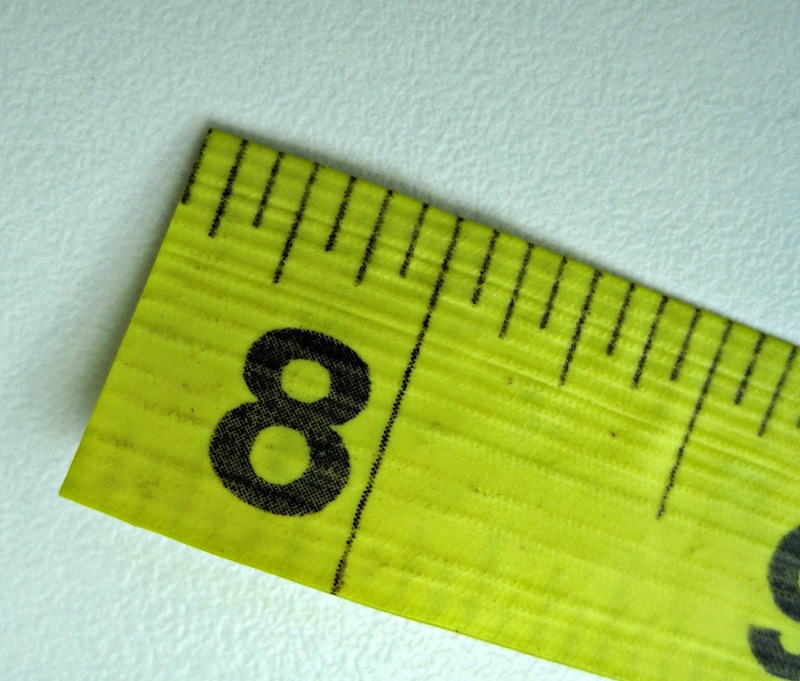 – and no I wasn’t measuring something 7 ½ inches wide, I was measuring something 3¾ inches wide – and managed to do it twice!